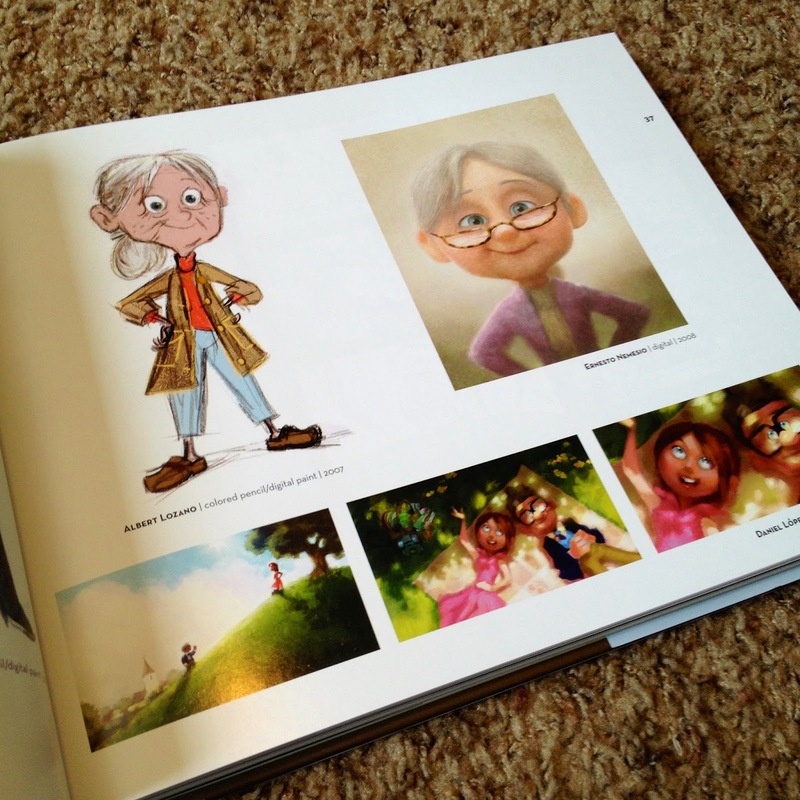 I'm that much closer to finally having the full collection of the Pixar "Art of" books! 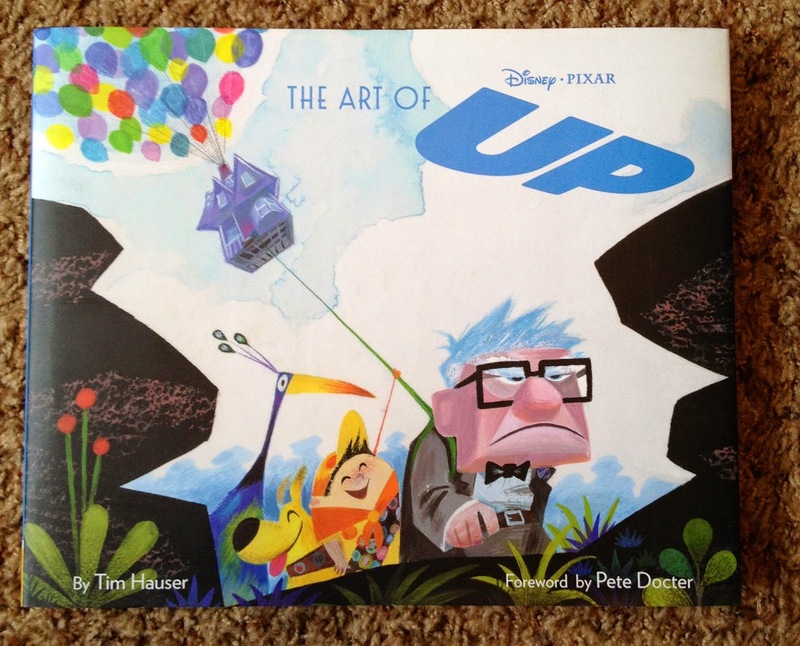 I was finally able to get "The Art of Up", which has been on my wishlist for quite some time, and I'm thrilled to now have it to read and display. This gorgeous hardcover book by Chronicle Books is written by Tim Hauser with a forward by the film's director, Pete Docter. 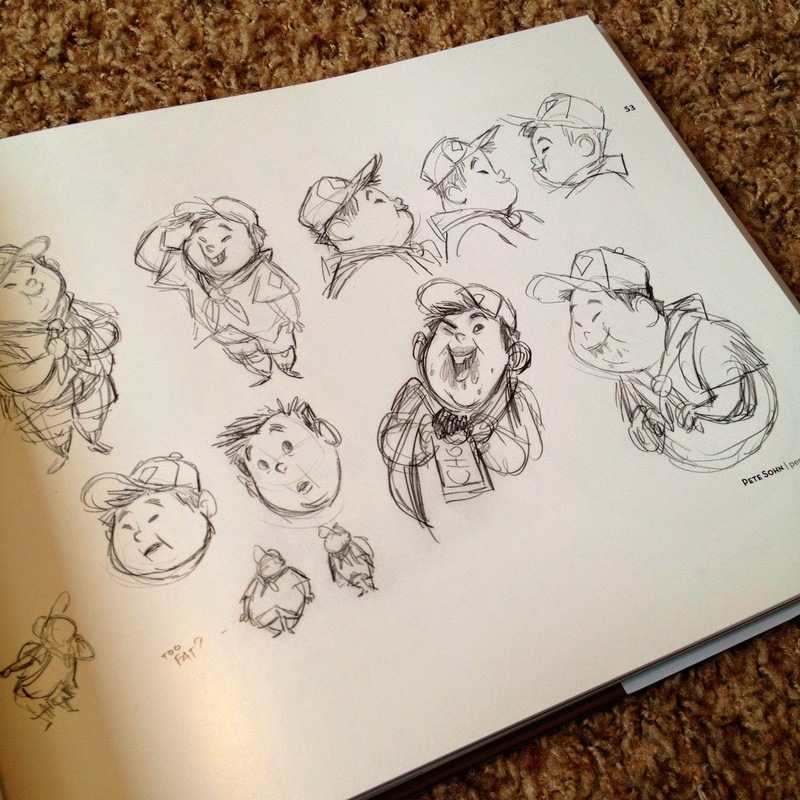 The opening of the book starts with a fantastic layout of Carl character sketches through his ages, starting with his youngest appearance to the oldest seen in the film. 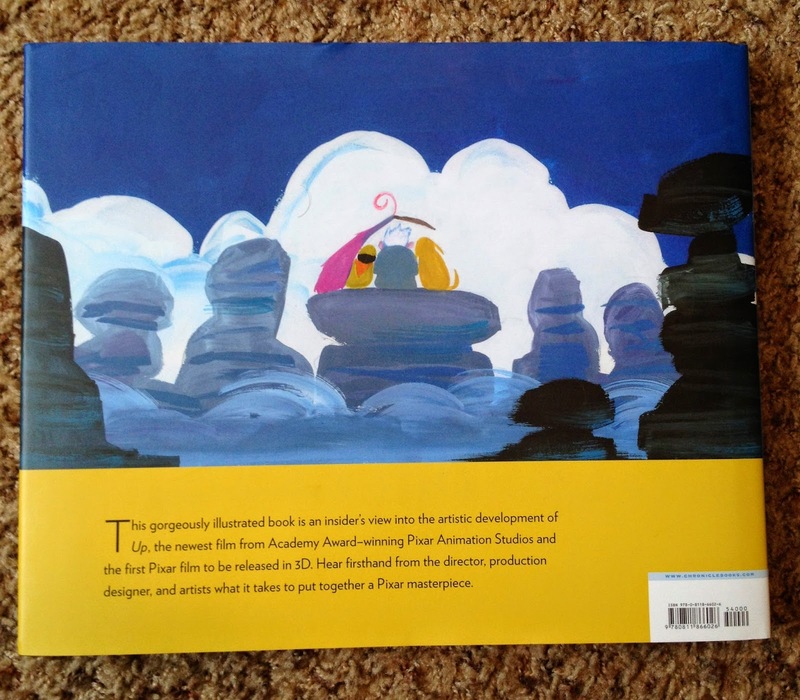 From there, turn the pages to find the very insightful and well written foreword by Pete Docter who talks a little about how the film's story came to be. 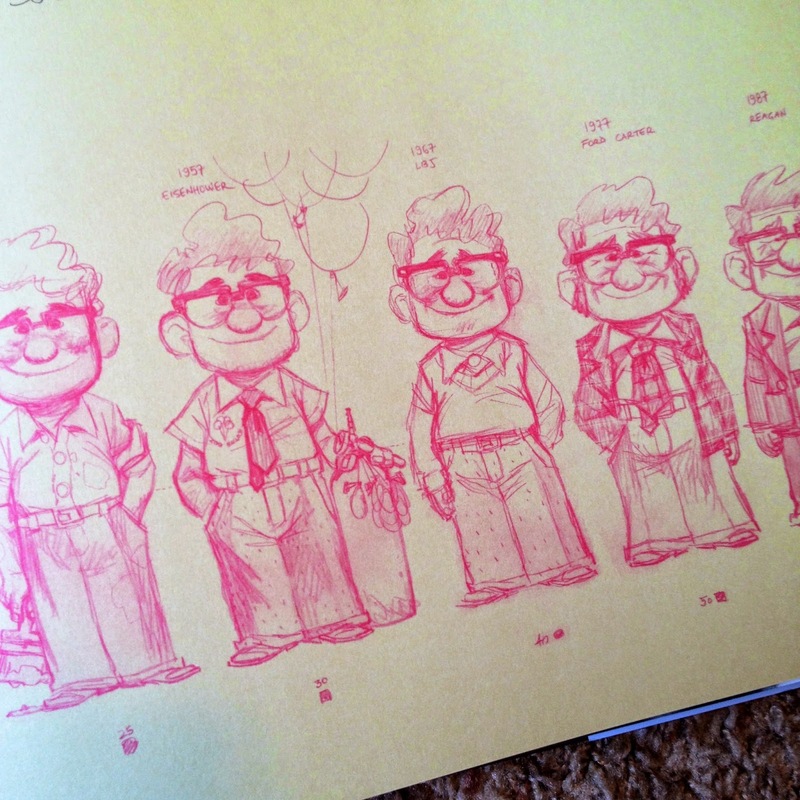 There is no denying that the art direction in Up is one of Pixar's finest. From the lush, epic landscapes of South America to the smaller, more intimate and emotional character moments such as Carl and Ellie's love story. It's all beautifully crafted. The imagery in the film is just pure imagination, like something out of a dream. Seriously, who besides those genius enough to work at Pixar would have thought of a house with thousands of balloons tied to it flying through the clouds? Even the house alone has become quite iconic and well known throughout the world. The film truly was an instant classic. 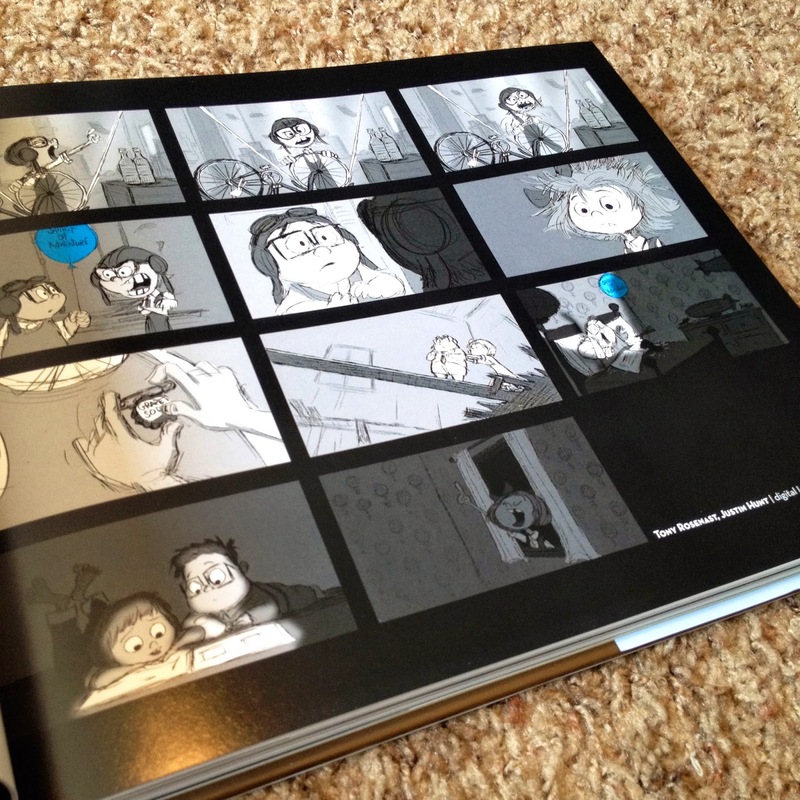 I love seeing all of the concept art (especially the character designs/evolutions) in addition to all of the storyboards and the photographs taken during the research trips to Venezuela. 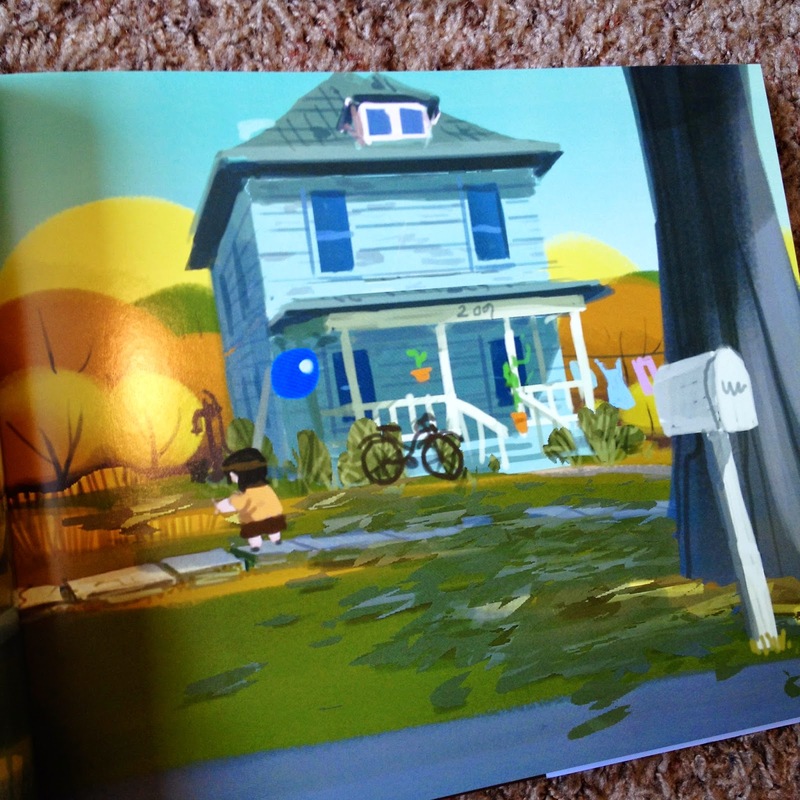 Compared to some of the "Art of" books, this one is much heavier on the pictures and focuses less on text, which I like. A lot of text is cool when it comes to being able to read a lot of the behind the scenes stories (don't get me wrong I do like that as well), but I kind of like just keeping that to a minimum with these books and just have it be focused on the art. This one, to me has, has the perfect balance of text and images. The text is in short blocks/paragraphs and is very straightforward, yet insightful, while keeping the art the main focus of each page. 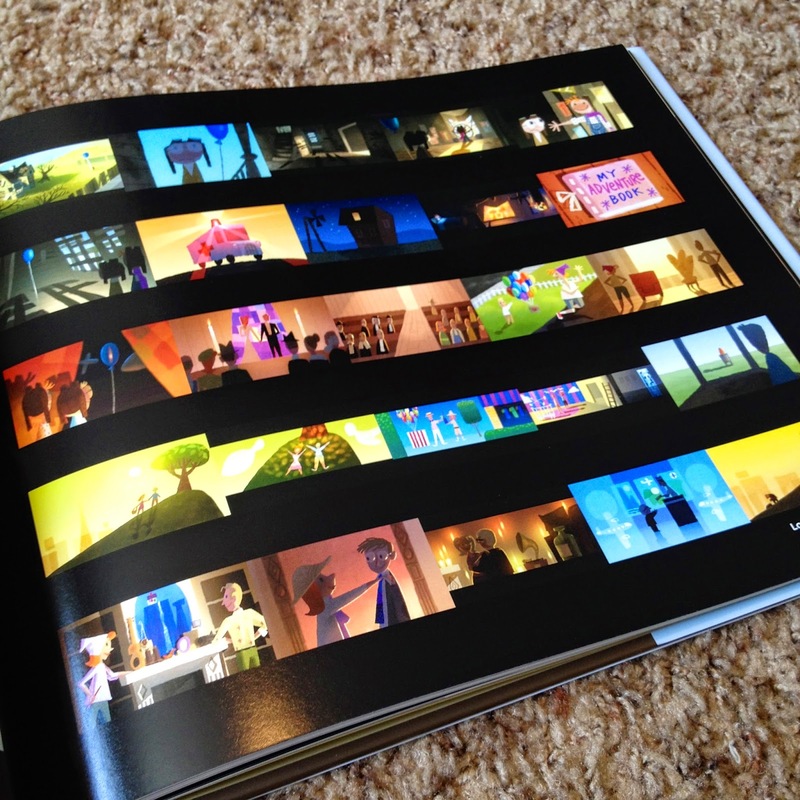 Above, of course, are a few of the great images you'll find in this book. Want to see more? Of course you do! You can easily get this book on Amazon, so head on over and grab a copy today if you haven't already. It's on sale currently for only $25.32 which is a great deal. 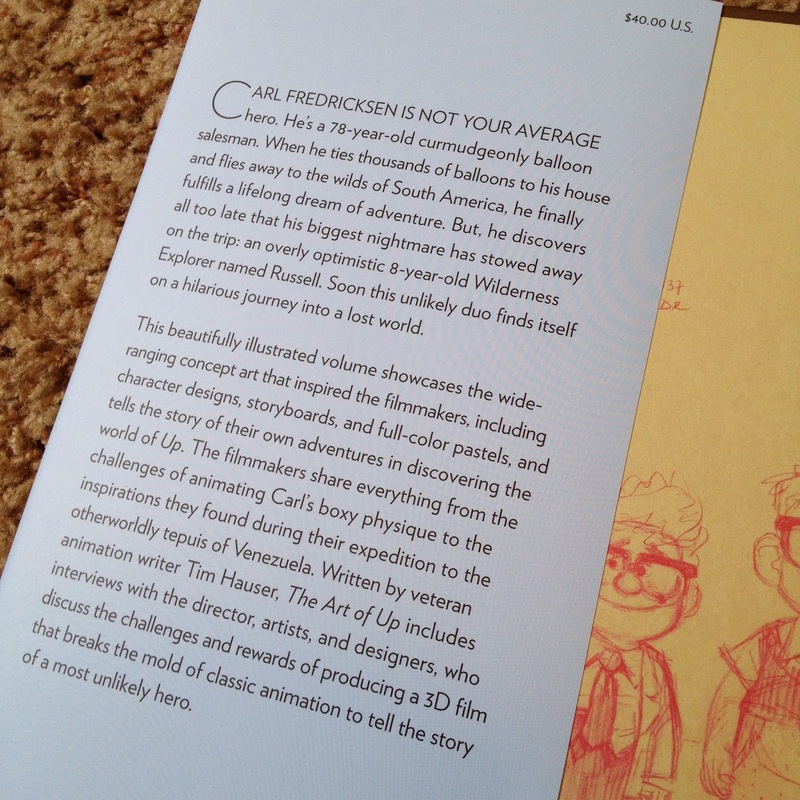 I completely recommend this to any Disney/Pixar fan, epically if you're a lover of Up. 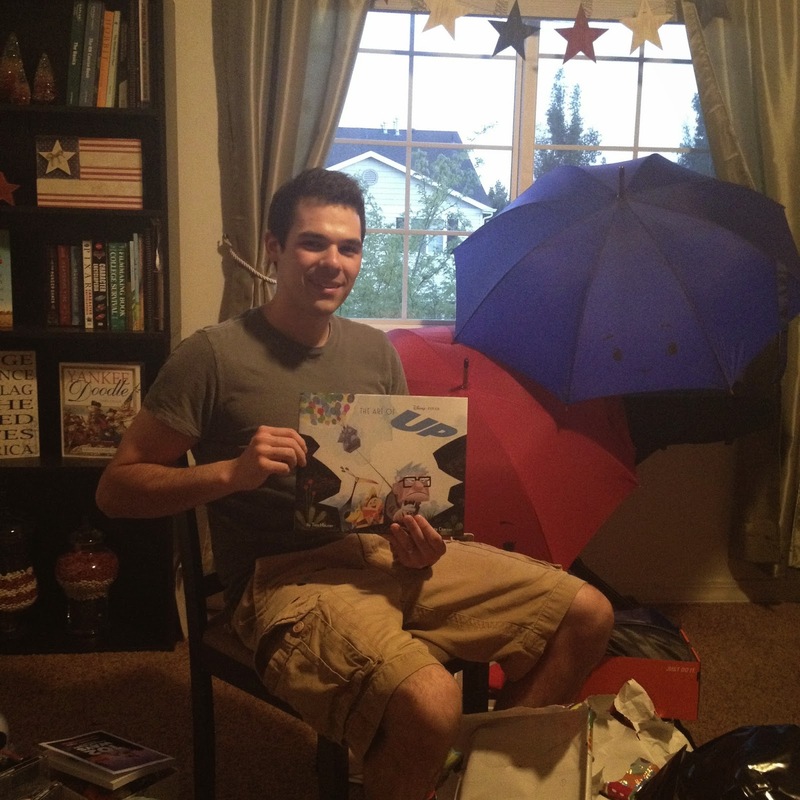 You can check out my write ups on the other "Art of" books that I have so far (and all of my Pixar related books) by checking out my "books" label to the right. More to come!